Racing with the company's own yacht! A premiere for teak deck specialist Wolz Nautic from the Würzburg region. 12 May saw the Lürssen MC Cup take place in Kiel under force 5-6 winds. Wolz Nautic was among the top-flight field of starters for the first time with its own sailing yacht, and lost no time in making for highlights. 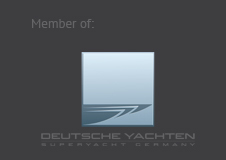 25 January 2016 saw the 5th edition of the German Superyacht Conference take place in Hamburg. Teak deck specialist Wolz Nautic based in the Franconian town of Gaukönigshofen was again one of sponsors at this anniversary event. The last week of January saw this year's edition of the annual BOOT Düsseldorf trade show take place. In 2016 too, Wolz Nautic was there as exhibitor on the GERMAN YACHTS joint stand. Teak deck producer Wolz Nautic opened a service point on Mallorca shortly before year-end, aiming to strengthen its positioning in the Mediterranean region by way of close cooperation with Manos del Mar and its owner Jan van der Horst. The service point is located at Manos del Mar's workshop directly in Palma’s harbour. The annual industry get-together at the METS Marine Equipment Trade Show – the boat sector's leading event of this type – took place in November in Amsterdam. This trade show has been an integral part of teak deck specialist Wolz Nautic's schedule for many years now. This year, Wolz Nautic launched a new exhibition stand concept, aimed at putting the focus to an even greater extent on the Franconian teak deck supplier's core competences and individual product lines. This year's visit to the FLIBS show took place under a new motto. 2015 had seen Wolz Nautic team up with Dornbracht – the market leader for highly exclusive and innovative bathroom and spa equipment – and exhibit on a joint exhibition stand. For this reason, the focus was put on the ornamentation as well as the bathroom furniture in line with the spa components – and the response among the visitors was pleasingly positive. The autumn trip organized by the German Boat and Shipbuilding Association (DBSV) led this time to the Southampton/South of England region. You will find a very interesting travel report in issue 4/2015 of the "Bootswirtschaft" magazine on pages 54-59 (only available in German). 2015 saw the first opportunity for Wolz Nautic to exhibit its products and services on its own stand at what is probably the leading trade show in the megayacht sector. The stand areas in Monaco had been completely restructured, and the creation of new space enabled Wolz Nautic to appear for the first time with a stand of its own in the GERMAN YACHTS zone. The current edition of the German publication 'Boote Exclusiv' contains a detailed report on the solid wood decks with integrated decorative elements built by teak deck producer Wolz Nautic. "Exquisite decoration in the teak deck" – the latest innovation in high-precision woodworking techniques. Its leading role in the manufacture of teak decks, ornamentation, synthetic decks and a diversity of other system solutions for the nautical sector has gained Wolz Nautic a reputation in the trade press too as one of the most innovative and technologically accomplished points of contact in the sphere of teak decks. This year our Office North for the first time organized a regatta-accompanying trip with clients of Wolz Nautic on the occasion of the Kieler Woche event. In sunny and moderately windy weather a Bavaria 39 took the participants to the regatta fields offshore of the Schilksee Olympic Sailing Centre and subsequently along the Kiellinie promenade into the Kiel Fjord right up to the MS Colour Magic ferry. April 2015 saw us add to our Northern Germany team, and we would like to take this opportunity to welcome Rouven Woczikowski as new member of staff at Wolz Nautic. Rouven takes on the position of project manager and technical contact person for our customers in the megayacht sector. This year too saw the Dubai International Boat Show held against the imposing backdrop at the foot of "The Palm". Wolz Nautic was there as exhibitor and used the joint stand of the "German Yachts" association as base for its activities. This year's BOOT – the world's biggest boat and water sports trade fair – was marked by a diversity of highlights. The first weekend of the event already saw the stands of the leading production yacht manufacturers permanently overflowing with visitors – a sure indication that the upward trend in the boat sector is continuing. Shortly before Christmas, yacht builders Bavaria Yachtbau of Giebelstadt again hosted an event in Berlin in which Wolz Nautic was pleased to take part as longstanding development and cooperation partner. The three days of the trade show on the RAI premises in Amsterdam went extremely well for Wolz Nautic, the globally active teak deck manufacturer from the district of Würzburg. The exhibition stand was excellently frequented throughout the entire event, whether due to meetings with existing customers or enquiries on the part of potential new customers. The interest in Wolz Nautic's innovative and technically perfected products and special solutions remains unbroken. This year's annual company outing – the fifth – took the Wolz Nautic Team to Friedrichshafen on Lake Constance for a day at the Interboot trade show. This was a great change for all of the colleagues taking part as it gave them the opportunity there to see and directly inspect how the company's products look in their final state and installed on the yachts. The who's-who of the international megayacht sector met in marvellous late summer weather for the annual show of SUPERyachtLATIVES in Monaco harbour. Wolz Nautic was there with a team of four for the purposes of marketing its teak decks and products. This illustrates the great importance of the Monaco Yacht Show for the company, especially for all projects in the megayacht segment. The July 2014 issue of the German boating magazine "Bootswirtschaft" includes a review of the event which had already taken place in February 2014. An article that provides a very nice description of Wolz Nautic's involvement and the activity itself.